The right edge of the house is being replaced with the tree and the sky that are coming up. I will be happy for the change. 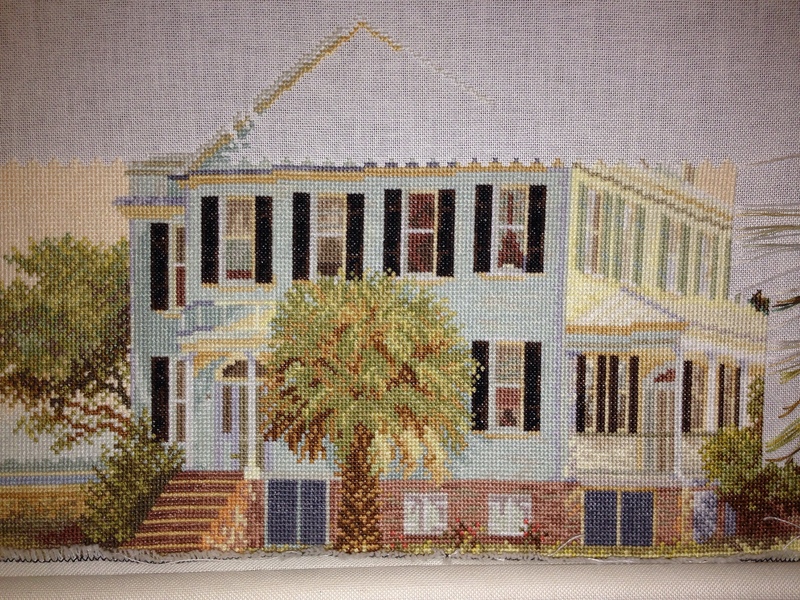 I am not a big fan of yellow and all the yellow on the second story has been hard for me to stitch. I will be glad to be stitching a little green for a while. That won’t happen for a couple of weeks, though, because I am moving on in my rotation.